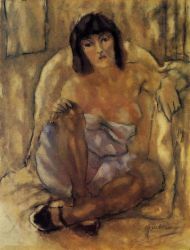 Julius Mordecai Pincas, (March 31, 1885 – June 5, 1930) known as Pascin, Jules Pascin, or the "Prince of Montparnasse", was a Bulgarian painter.Despite the constant partying, Pascin created thousands of watercolors and sketches, plus drawings and caricatures that he sold to various newspapers and magazines. He studied the art of drawing at the Académie Colarossi and, like Henri de Toulouse-Lautrec before him, he drew upon his surroundings and his friends, both male and female, as subjects. He wanted to become a serious painter but in time he became deeply depressed over his inability to achieve critical success with his efforts. 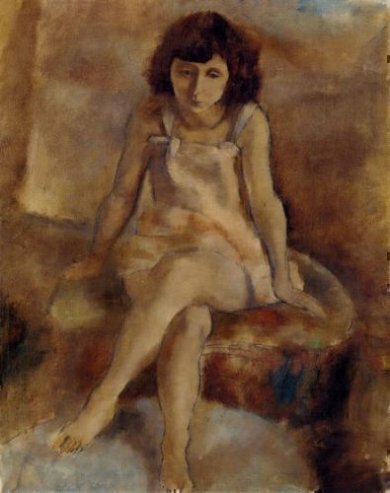 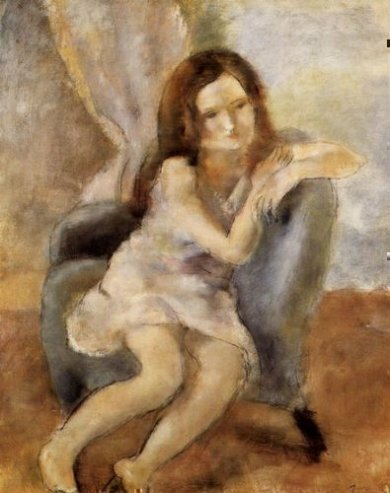 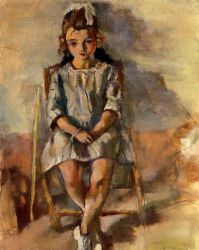 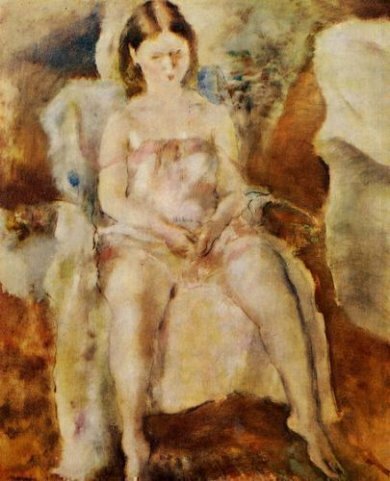 During the 1920s, Pascin mostly painted fragile petites filles, prostitutes waiting for clients, or models waiting for the sitting to end. His fleetingly rendered paintings sold readily, but the money he made was quickly spent. 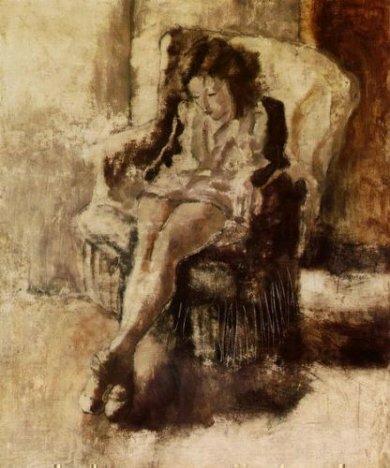 Famous as the host of numerous large and raucous parties in his flat, whenever he was invited elsewhere for dinner he arrived with as many bottles of wine as he could carry. 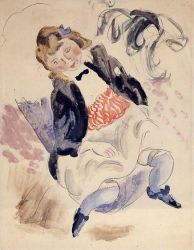 He frequently led a large group of friends on summer picnics beside the River Marne, their excursions lasting all afternoon. According to his biographer, Georges Charensol, "Scarcely had he chosen his table at the Dôme or the Sélect than he would be surrounded by five or six friends; at nine o'clock, when we got up to dinner, we would be 20 in all, and later in the evening, when we decided to go up to Montmartre to Charlotte Gardelle's or the Princess Marfa's—where Pascin loved to take the place of the drummer in the jazz band—he had to provide for 10 taxis." In his story, A Moveable Feast, Ernest Hemingway wrote a chapter titled With Pascin At the Dôme, recounting a night in 1923 when he had stopped off at Le Dôme and met Pascin escorted by two models. 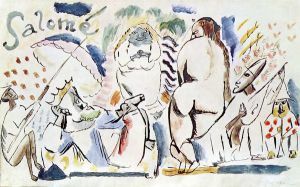 Hemingway's depiction of the events of that night are considered one of the defining images of Montparnasse at the time.